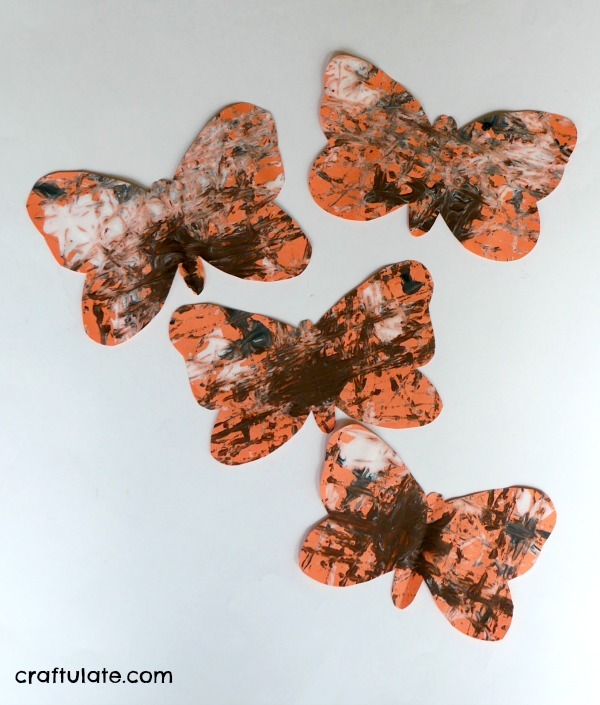 This Painted Lady butterfly craft for kids is made using a marble painting technique! Actually, I wanted to call this craft a Marble Painted Painted Lady Butterfly. But I thought everyone might get confused or think I had made a mistake in the title. So it’s a painted lady butterfly craft, using a marble painting technique. 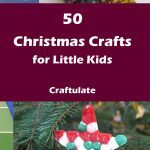 You may remember that we’ve used this technique before – it’s quick to set up, and kids just love the clanging of the marbles. 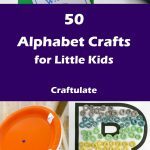 Check out our tiger craft and our general introduction to this method of painting! 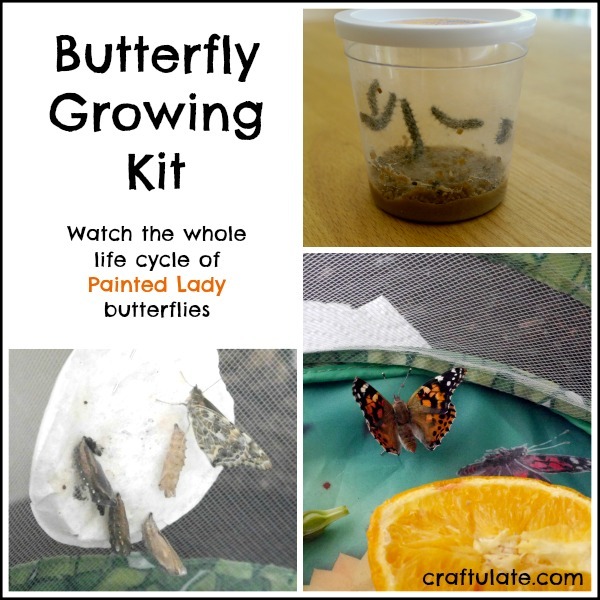 Painted Lady butterflies are particularly special to our family because we have had the InsectLore kits for the last three years, where we watch all the life stages right in our kitchen! 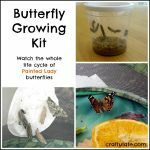 You can read all about this butterfly growing kit here! 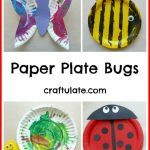 To make the craft we used orange construction paper, a small baking pan and white, brown, and black paints. I secured the paper to the pan with a piece of rolled up tape, then squirted some paint onto the paper. My idea was to keep the brown in the middle and lower half of the butterfly, and the white and black at the top, to make it look more like the actual butterfly. But of course it didn’t stay this way! So don’t be too precise about it – random is fine! I then added in three marbles and invited my son to tip the pan in all directions so that the marbles rolled through the paint and made tracks. Note: I won’t lie, every now and then a marble does hop out of the pan! You could either use washable paint or just cover the whole pan in plastic wrap (cling film) if this is an issue! We made four versions, and left them to dry. Then I cut them into butterfly shapes, and taped them to the wall. Don’t they look pretty?! ?